Tricia De Boer is a registered nurse with emergency room experience who has worked for hospitals in Iowa, South Dakota and Colorado. 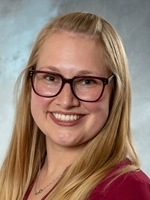 She also has taught in classroom, clinical and simulation settings for Briar Cliff, Morningside, Western Iowa Tech and Mercy Medical Center in Sioux City. She earned a Bachelor of Science in Nursing degree from South Dakota State University and a master’s degree in nursing from Briar Cliff University.